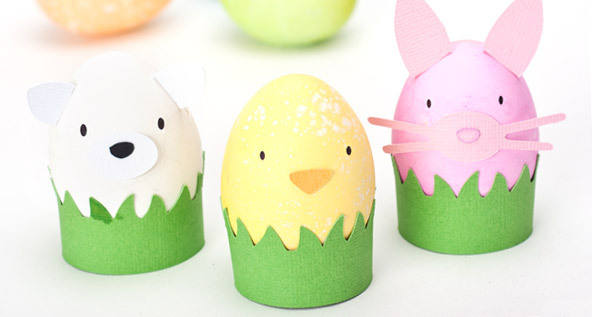 Dress up your Easter eggs! Your free download includes everything you need to create all three characters plus the grass egg stand. 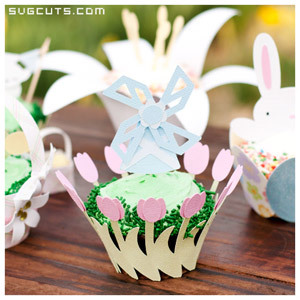 Create a happy little group of pastel bunnies, create the cute chick and the sweet lamb. If your cutting program imports SVG files at the proper size (such as SCAL2), you won't need to do any resizing. However in case you need it, the recommended sizes are shown below (keep the proportions). If your eggs are a little bigger than usual, you can bump up the sizes a tad. Happy Spring, happy Easter and happy crafting! more fun! Oh how I wish the grands lived closer – but we’ll just have to wait for them to get their boxes! These are so cute. My Grandkids will love them. Thanks Mary, such a generous freebie! Very cute. I know the grandkids will love these. What a great idea ~ thank you! These are so adorable and just what I needed this week. Thank you so much!! Awww, so cute! Love these, thank you! Thank you so much for this – what a great freebie! I’ll be up late cutting tonight. . . Thank you so much! What a great freebie – I’ll be up late cutting tonight. . .